Patel had challenged the high court order which had dismissed his plea questioning the maintainability of Rajput's election petition. 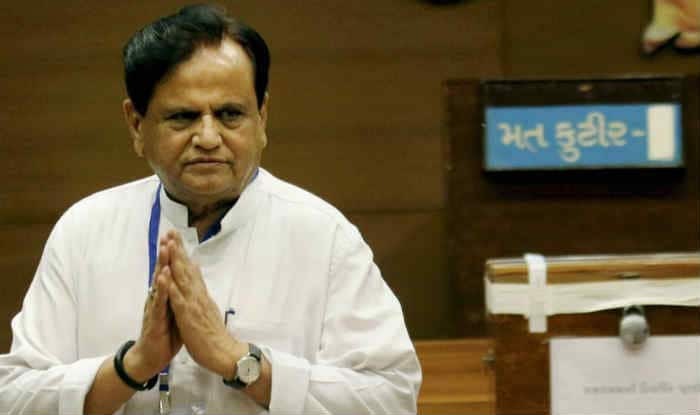 New Delhi: The Supreme Court on Thursday asked veteran Congress leader Ahmed Patel to face trial in connection with his election to the Rajya Sabha in 2017 which has been challenged by his rival BJP candidate Balwantsinh Rajput. The apex court declined to interfere with the October 26, 2018 order of the Gujarat High Court which had said that Rajput’s allegations required a trial. “Let the trial go on,” said a bench comprising Chief Justice Ranjan Gogoi and Justice S K Kaul. Patel had challenged the high court order which had dismissed his plea questioning the maintainability of Rajput’s election petition. Rajput in his election petition had challenged the Election Commission’s decision to invalidate the votes of the two rebel MLAs. Had these votes been counted, he would have defeated Patel, the BJP leader had contended. The apex court said it will hear Patel’s plea next month. It allowed the parties to file additional documents in the matter. In its order, the bench also said that “as contesting parties have appeared, no notice need be formally issued. List the matters for final disposal in the month of February, 2019. In the meantime, the High Court shall proceed with the trial of the Election Petition”. Patel was declared the winner after the Election Commission invalidated the votes of rebel Congress MLAs Bholabhai Gohel and Raghavjee Patel, bringing down the number of votes needed for victory to 44 from 45. In the election petition before the high court, Rajput also alleged that Patel had taken Congress MLAs to a resort in Bengaluru before the election which amounted to “bribing the voters”. In October 2018, the high court for the second time declined to give relief to Patel. Earlier, April 20, it had rejected Patel’s plea. Patel moved the Supreme Court against the April 20, 2018 order, contending that the decision of the poll panel cannot be challenged by an election petition. The apex court on September 26 asked the Gujarat High Court to decide afresh a plea of Patel challenging the maintainability of a petition filed by Rajput. The High Court in October dismissed Patel’s plea. On Thursday, senior advocates Kapil Sibal and Abhishek Manu Singhvi along with advocate Devadutt Kamat appeared for Patel in the apex court. Senior advocates Maninder Singh and Satya Pal Jain represented Rajput and other respondents in the matter. The apex court said it will hear Patel's plea next month. Patel was declared the winner after EC invalidated the votes of two rebel Congress MLAs. Had these votes been counted, he would have defeated Patel, the BJP leader had contended.